Sinsheim - 1899 Hoffenheim's Boris Vukcevic continues to make progress after sustaining serious head injuries in a road accident on 28 September. The 22-year-old spent almost seven weeks in a coma, but is now able to communicate verbally thanks to the work of therapists at a rehabilitation clinic in Heidelberg. 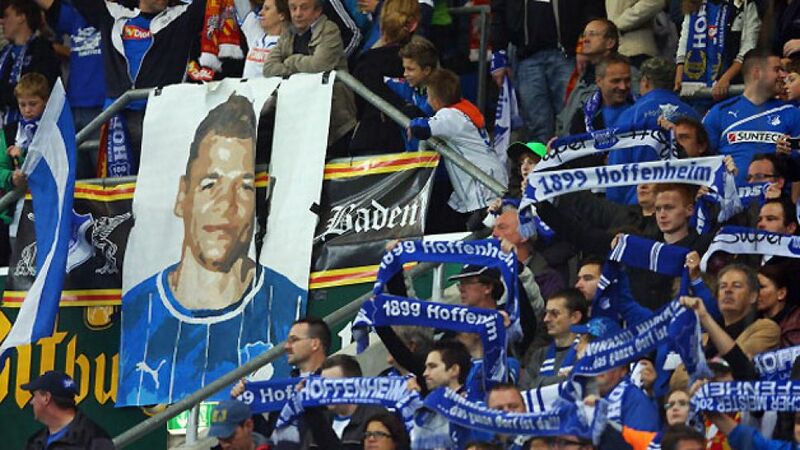 "It's great news for us," said Hoffenheim director Andreas Müller. "It puts everything else into perspective. A few weeks ago it would have been hard to believe that Boris would make such progress. We're really happy about it and will continue to give him all the support he needs." Vukcevic's parents released a statement on behalf of their son, in which he thanked all those who had sent words of encouragement over the past few weeks: "Above all, I want to thank the Hoffenheim supporters and team for all their support during this difficult time. I send you all my best, but also ask you to give me the time and rest I need to get back on my feet."